Family Tree Treasure Trunk provides a special retail experience for both the general public and Family Tree clients. Donated goods directly support individuals and families in Family Tree programs preparing for a new start by providing essential items including clothing, household items, toys, tools, and much more. 100% of your dollars spent at Treasure Trunk goes directly to help fund Family Tree’s life-changing services. 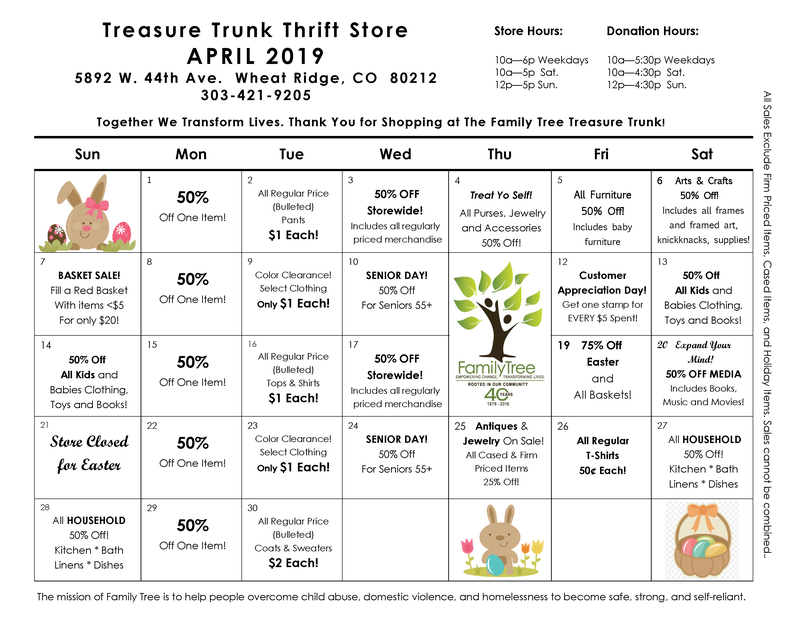 Did you recently visit Treasure Trunk Community Thrift? Let us know what you think! Take two minutes to complete this survey. *We ask you NOT to leave donations after hours. Donation drop-off will close when we reach capacity. To guarantee we can accept your donation, please call to schedule an appointment. *All items should be clean, undamaged, and usable. Please bring your donation in a box or bag that you can leave behind. Thank you for your consideration! To maximize the impact of your donation, we partner with the Epilepsy Foundation of Colorado to recycle donated goods we are unable to sell. Love the Store? 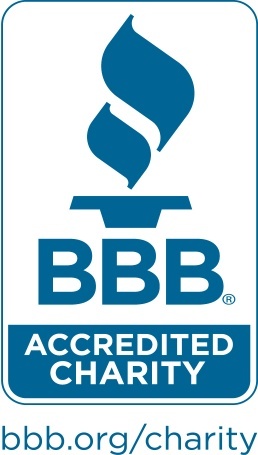 Leave us a review on Yelp!